Hotel High Sky is warm property located at Ramphal Chowk, opposite GOLD Gym Sector 7 Dwarka, Delhi. 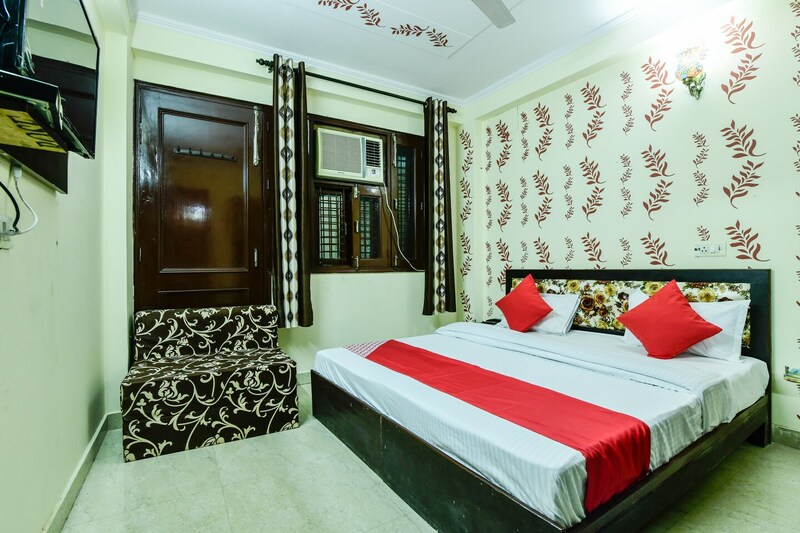 The hotel is situated at a distance of few minutes from both Sec 1 Dwarka Bus stop and nearest metro station. The rooms are compact and feature a colourful decor. All rooms come with a queen-sized bed, AC, TV, and free Wi-Fi. There is a wardrobe and seating area for the comfort of the guests. The hotel has a power backup facility and CCTV cameras at all the main entrances. All famous attractions like Dwarka Baoli, Bharthal, Park Dwarka, Chandni Chowk, Rashtrapati Bhawan, Red Fort and India Gate can be visited by taking a cab or an autorickshaw.